This kit allows you to interface with your vehicle's OBD-II interface. 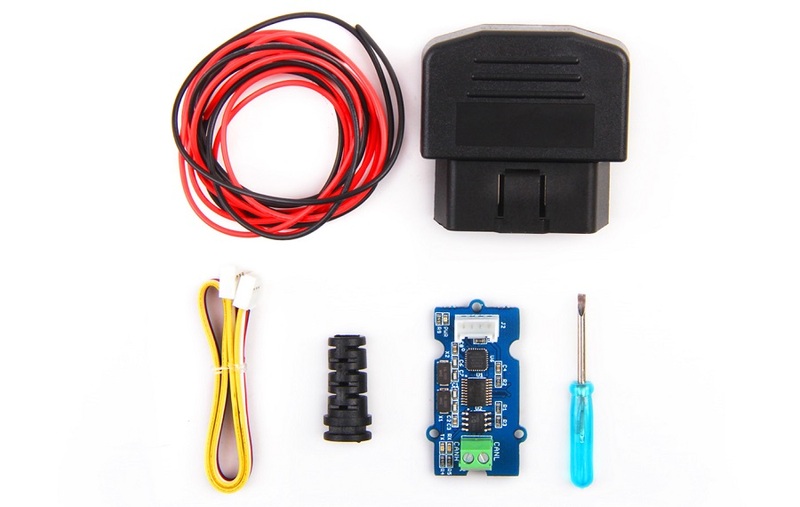 The kit includes a Serial CAN Bus module as well as a OBD-II Connector, with this kit you can get data from your vehicle easily. 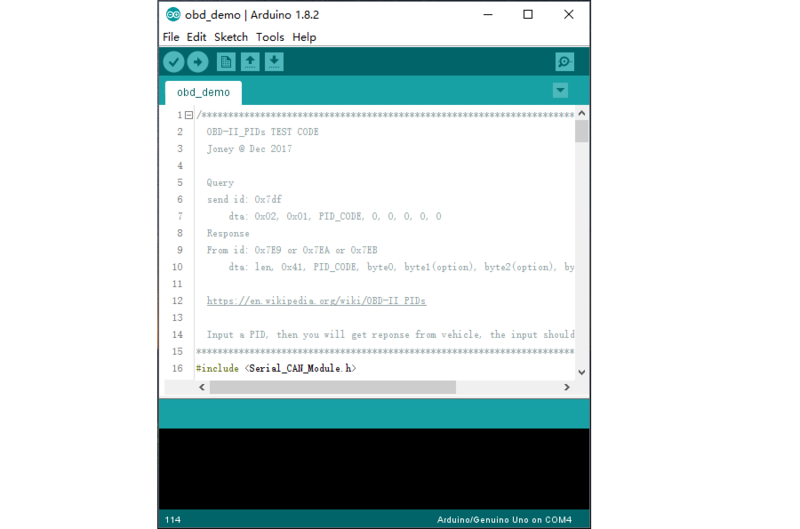 We provide an tutorial which is based on Arduino. The kit don't include a controller board. 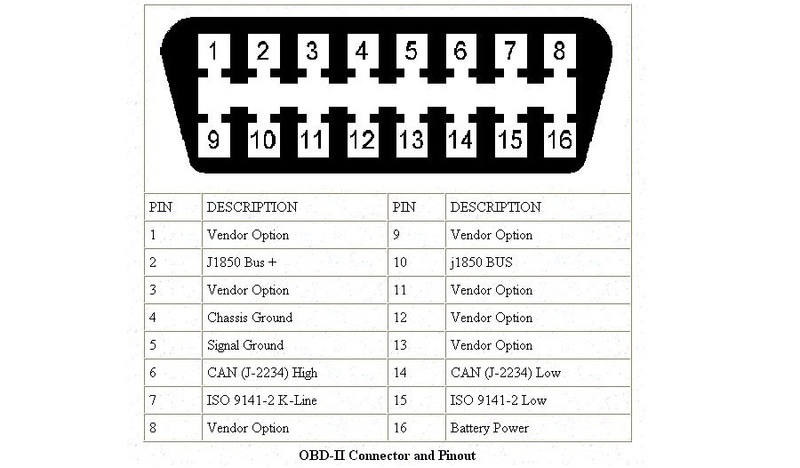 The kit includes an OBD-II connector, below is pins define of the connector. The kit includes a cable as well, you need a soldering iron to connect the cable to the connector. As shown below. Here we will make a demo to read some value from a vehicle with an Arduino. For this example, we use D2 as RX of software serial, D3 as TX. So you should connect D2 to TX of Serial can bus module, and D3 to RX. After upload the sketch to Arduino, you can try connect OBD-II connector to your vehicle. Open you serial monitor, try to input an OBD-PIDs, see if you can get some values from your vehicle. Click to get more about OBD-PIDs.